SUGARSolve 24/7 Healthy Metabolism | Natural Health Supplements | What Is Healthy Lifestyle - American BioSciences Inc. The little-known banaba tree from Southeast Asia contains a remarkable substance that helps normalize blood sugar levels. Do you have any of the classic symptoms of blood sugar concerns—low energy, mood swings, difficulty losing weight, often hungry? If so, SUGARSolve 24/7 will be a blessing for you. It gives you the most effective, natural way researchers have found to get off the blood sugar roller coaster and promote a healthy metabolism. With SUGARSolve 24/7, your energy levels will increase, helping you to be more physically fit and active. As an added bonus, if you’d also like to lose a safe amount of weight over the next several months, it can help you with that too. SUGARSolve 24/7 contains a compound that history has shown is remarkably safe and effective. For centuries, people in Southeast Asia have brewed a tea from the leaves of the Banaba tree to help balance their blood sugar levels. Scientists have discovered that these leaves contain a compound called corosolic acid. 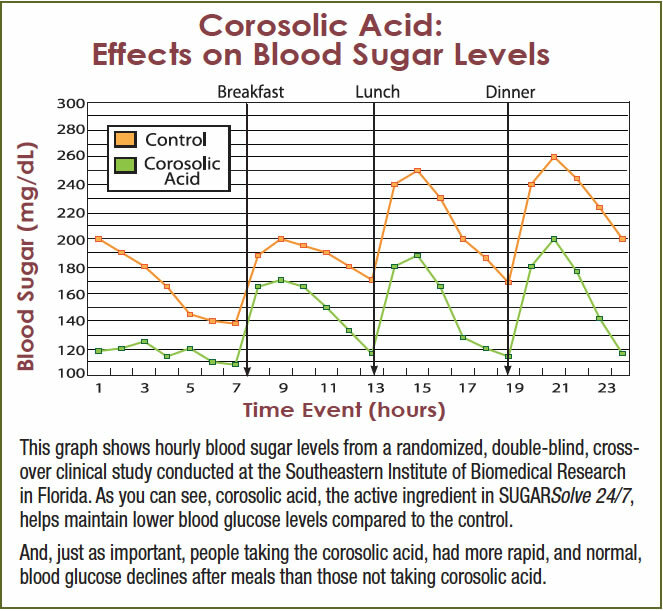 This graph above shows hourly blood sugar levels from a randomized double-blind crossover clinical study conducted at the Southeastern Institute of Biomedical Research in Florida. Corosolic acid, the active ingredient in SUGARSolve 24/7, helps maintain lower blood glucose levels compared to the control. People taking the corosolic acid had more rapid and normal blood glucose declines after meals than those not taking corosolic acid. Their research has shown that corosolic acid has the unique ability to influence a glucose transport protein called GLUT4. This protein is an essential factor for the transport of glucose out of the blood stream and into cells. Increased cellular uptake of glucose helps blood sugar levels reach a more normal and healthy range so you can find out what a healthy metabolism is really like. Our advanced blood sugar control supplement, SUGARSolve 24/7, contains corosolic acid standardized to 18%. One study—published in the July 2003 Journal of Ethnopharmacology— showed that corosolic acid at 0.48 mg a day for two weeks showed a significant benefit in maintaining healthy blood glucose levels. 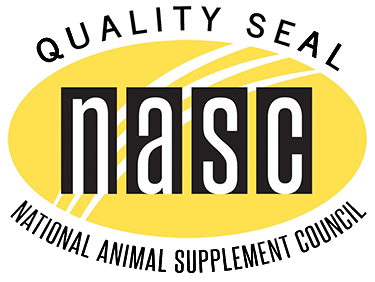 The same study also showed that corosolic acid in softgel capsule formulas worked the best. 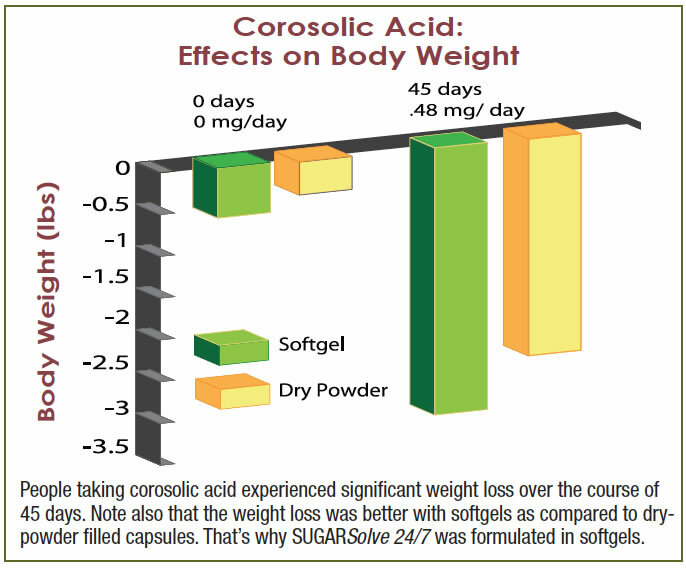 Softgel formulas did a better job of normalizing blood glucose levels than dry, powder-filled, hard capsules because they’re more easily absorbed. That’s why SUGARSolve 24/7 was formulated to meet the study requirements on both counts. Each SUGARSolve 24/7 gel cap contains high levels of corosolic acid in a softgel, providing the absolute best blood sugar supplement on the market! Corosolic acid has the unique ability to transport sugar out of the blood stream at a rate that doesn’t lead to rapid reductions in blood sugar, promoting a healthy metabolism. This allows for a smooth, positive effect on blood glucose metabolism, benefiting your health for years to come. 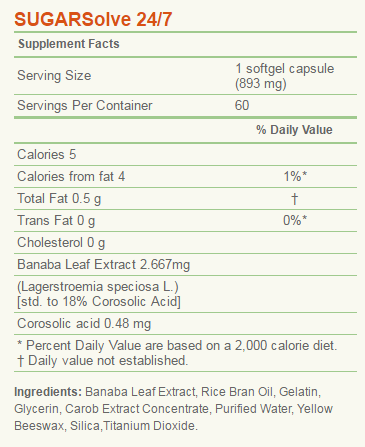 Researchers have shown that just taking Banaba Plant Extract— corosolic acid—can lead to a few extra pounds of weight loss. The reason is because banaba plant extract has a controlling influence on glucose levels, which helps limit appetite and food cravings, particularly carbohydrate cravings. This reduces total caloric intake! There have been no reported adverse side effects of taking corosolic acid. SUGARSolve 24/7, with 18 percent corosolic acid, is the safest, smartest, easiest way to promote healthy blood sugar levels and shed a few pounds. Consistently high blood sugar levels make it difficult to decrease overall body fat. They also put a damper on energy levels, leaving a person feeling drained throughout the day. Improving blood chemistry by moving glucose (sugar) out of the blood and into the cells where it can be burned for fuel, helps promote optimal health. An easy and safe way to do this is with SUGARSolve 24/7. Research has shown that the corosolic acid in SUGARSolve 24/7 can significantly reduce blood glucose levels. Thank you for SUGARSolve 24/7. I was alarmed about my blood sugar level and wanted to do something about it. I decided to go the natural route and try SUGARSolve 24/7. Now my blood sugar levels are normal. Other than some modification in diet (low carbs) your product is the only thing I’ve taken to support my blood sugar levels. Take one gel cap per day 30 minutes before a meal. Do not use if you are hypersensitive to any ingredient in this formula.